Sign up for Broadjam today to follow Kate Carpenter, and be notified when they upload new stuff or update their news! Soothe your child to sleep with this cozy collection of original lullabies. From Jammies to Close Your Eyes, these 12 songs are perfect for bedtime. 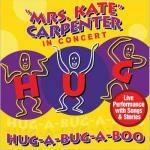 Peace, love and security will surround your little ones as they enter dreamland with Mrs. Kate. 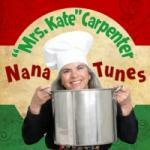 With guitar, mandolin, hammered dulcimer and sweet kids vocals, Mrs. Kate's Jammies song is a treat for the ears and easy to sing along with. 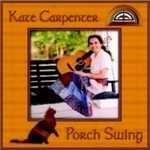 The tune is a traditional Shaker song, now wrapped in soft flannel. My grandson's favorite verse is "And as I stand by the mark on the wall..." Even when your child is grown out of his/her favorite jammies, I hope they'll never grow out of this song. I had 11 songs for my Lullaby CD. 11 is an odd number. I needed a 12th song to round it out! I reviewed the subject matter of my 11 songs and decided a song about pajamas would be just what I needed. Then the Simple Gifts tune came to mind and BAM! God blessed me with these lyrics in no time flat. Every song is a gift from God. This one just happened to come in wrapped in soft flannel. CHORUS: Jammies, I love my favorite pair. The only ones that I like to wear. As I snuggle under the covers again. I'm inching up and growing rather tall. The child sings with mommy, daddy, grammy and grandpa, and of course, the favorite teddy bear. Add up the kid, the grownup, the teddy and the rocker, and you have a perfect recipe for sleep when singing this song. When the bough breaks, the cradle will fall, and down will come baby, cradle and all. What a terrible thought to put into a child's head when he's trying to go to sleep. I thought the world needed a safer Rockabye Baby song, so here you go! Sleep is something I shouldn't fight. Sounds kinda scary...what if I drop? 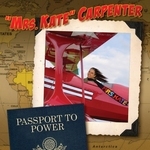 Mrs. Kate uses alliteration to craft this lovely lullaby, coupled with a simple and memorable tune that will linger in your mind as you drift off to sleep. The brilliant arrangement is the creation of Scott Griffin (Captivating Keyboards) of Chicago, IL. It was the summer of 2013. Our family was vacationing in a rural campground in Indiana. All 5 grandkids were with us. It was my job to "wear them out" before bedtime so that they would sleep like a bump on a log. Down the pathways we wandered in the twilight. Tiny pinpricks of light bejeweled the bushes. Lightning Bug Lullaby was birthed with a one year old on my hip and a 3 year old holding my hand. The song "just came to me" as we walked and spotted the firelies in the bushes. Will your light carry it up there? With a Brahms violin introduction, guitar and sweet children's vocals, this song makes the heart swell with love and even evokes a smile when mommy shouts and the kids apologize. 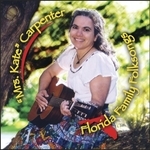 The song encourages families to share the love they have through the open door of friendship to others. I wrote this song many years ago. We had moved into our "dream home" and were dedicating it to the Lord. 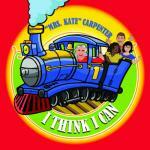 I wrote this song for my children and me to sing to our guests. At the time, they were still young enough to agree. Now they are married and have families of their own. I am happy to say that the values in this song are the hallmark of their loving, Christian homes as well. Thanks be to God. Home is the place, the place where I belong. Home is the place where I learn right from wrong. Home is the place where I can be just me. Home is the place my parents care for me. Home is the place where love is flowing out. Home is the place where sometimes Mommy shouts. Home is the place where we apologize. Home is the place where there is no disguise. Chorus: I love my home. Home is the place where I can feel secure. Home is the place the place I know for sure. Home is our place for work and rest and play. Home is a place a place to share with you. Home is an open door with friendship too. Home is a place, a place for everything! (Last chorus) I love my home! Nap time was always an important part of our day when I was raising my children. It preserved my sanity, and helped us all not to be crabby. I tried to get inside the head of a baby and "think what they were thinking" about naps when I wrote this song. My favorite verse is #2 when the family is taking a road trip. I'd written an adult version of the Nap Song, and decided the little guys needed their version, too. 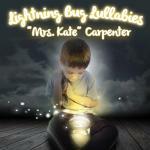 Re-recorded this song with a few changes in 2014 to have new version on my Lightning Bug Lullabies CD. I've had my lunch and my story, too. I'm slowly sinkin' in Mama's lap. I guess it's time to take my nap. Oh Mama, please, take off my bib. Lay me down now right in my crib. It's time for me to go to sleep. We've been out in the car all day. I sure would like to take a nap. Keep on drivin'; let's go real far. I've got that angel look on my face. And I'll keep bein' good for you. I know it must be my bedtime. So tiptoe on out and don't make a peep. It's time for me to goooooooo....to sleep. This song was originally titled "Lullaby for Sydney. I decided to revise it and record it as more of an all-faiths song rather than just a Christian song. Sydney was one of my young fans who was having kidney trouble. So I began writing the song for her...and it evolved. (Sydney's kidneys need a touch, from the Lord who loves so much" Believe it or not, that's how the song got started. On my warm and cozy bed. While I slumber, while I sleep. As I lay upon my bed. Make me to dwell in safety. Daddy's turning off my light. God will never close His eyes. Mommy says I must close mine. In the light or darkness deep. God will hold me while I sleep. Lullaby song with beautiful piano accompaniment, perfect for helping kids to learn how important obedience to their parents is. Originally, just "Children, Obey" on my Gotta Be a Doer CD, this song has been remixed for Lightning Bug Lullabies. All kids need to learn how to obey their parents. Hey, if God put it into the 10 commandments, it must be important! So why not have a song to embed that truth into their little impressionable minds? Listen and obey and do what they say that it may go well with you upon the earth. With guitar and a lovely keyboard arrangement, the children and their sweet vocals and harmonies make this song soar. 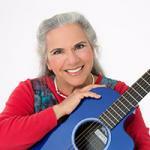 A great religious education song for Jewish, Christian and homeschool families. I thought it would be kind of cool to combine a scripture memory song with learning the days of the week. Psalm 90:12 works perfectly for this, so it's a dual purpose song. O Wisdom, Wisdom, Wisdom come to me. Lullaby sweet, this song teaches Gal. 5:22-23 and evokes feelings of love and peace. 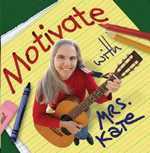 I wrote this song to teach kids Galatians 5:22-23. Gentle and sweet, this child's lullaby will soothe your child to slumberland. God is near...not to worry. Pull the quilt up and drift away to the soft sounds of children singing. This lullaby "just came to me" one day. Written for my grandchildren. Bonnie Whitehurst of Tarpon Springs is playing the harp. Tuck my quilt around my toes. Father God knows where it goes. Kiss my forehead, rub my back. Stars of silver, sky so black. Soothe me softly, banish fear. Hold me close, My Lord, I pray. God is guarding.....Safe am I. With guitar, cello, violin, and female vocals, this peaceful lullaby is perfect for mothers to sing while breastfeeding their precious infants. I love reading the Holy Bible and making up scripture songs. When I became a mother over 37 years ago, this song came to me as I rocked and nursed my daughter. Of course, I put her name in it, and later on my son's name, but here you have it for any child. Out of the mouths of infants and nursing babes, Thou hast prepared praise for Thyself. Out of the mouths of infants and nursing babes, Thou has prepared Thy praise. How lovely is Your grace. my heart will sing your praise. With a soothing guitar and cello accompaniment, this male/female duet makes the perfect lullaby for mommy and daddy to sing to their little ones. Gentle, loving and persuasive, Close Your Eyes is just the gravity your child's eyelids need at bedtime. Over 40 years ago, I wrote this song, but it was Little Sister Lullaby, a song that I wrote for my little sister Frannie. I always loved the tune, so I decided to rewrite the lyrics for my new CD, Lightning Bug Lullabies. My favorite part is the "tiny or tall, happy or sad, we'll always be your mom and your dad." That's Jamie DeFrates (my producer) singing the daddy part. I love the way this song came out. We'll always be your mom and your dad.